The quality of life we enjoy in Lake Forest owes much to the collective great resolve of its volunteer leaders, over many years, to make this city a special place to live. Lake Forest is governed in large part by its volunteer citizens – something that helps keep our taxes lower than most of our neighboring communities. And each year, there must be new volunteers to step forward and serve in leadership positions such as mayor, alderman, school board, and various other boards and commissions. In its 84th year, the Lake Forest Caucus Committee, also entirely volunteer and non-partisan, continues to identify, interview, vet, and nominate candidates for these volunteer positions. The goal is simple – find the best person for the position, without involvement of agendas or political parties. Volunteerism is the lifeblood of our community. And its continued success will be propped up by the strength and quality of our volunteers. To that end, I invite you to fill out a Volunteer Profile Sheet and tell us why you or someone you know would be suited to serve on city council, school board, or our 20 other boards, commissions, and committees. Thank you for your participation and support. The Lake Forest Caucus welcomes Peter Clemens as the 2017-2018 Caucus President. I am no stranger to change; in fact, I have made a study of recognizing when institutional changes are necessary and implementing them, both in my career and in my life as an active community member. I am accustomed to confronting challenges head on. I started my own technology and services firm right out of business school as an economic downturn and war faced graduates in 1991. I also made a dramatic career change that would allow more time with my children, as they entered their school years. Together with my wife, Betty, we addressed fundraising overhead issues at St. Mary’s school as Parent’s Club Presidents and made dramatic changes to “get back to basics” and provide more efficient funding to the school. After joining Lake Forest Club, we engaged a group to address serious financial management issues and affected dramatic managerial changes. During 5 years of Caucus involvement, working with volunteers who meet for 2-3 hours bi-weekly to recruit and vet volunteers to serve on 22 boards and commissions, including school boards, I had the time to review recruiting processes. I developed an 8-step process and a Mayoral Selection Team for vetting the 16 candidates to select our Mayor–elect, Rob Lansing. I was part of a thirteen-member School Board Search Committee managed by Caucus Treasurer Richard Chun, who also adhered to a consistent process to review, confirm and select our four candidates for both D67 and D115. This was no small task, and we approached it with a disciplined, professional methodology. We interviewed over 30 individuals, including current administration and board members, to ensure we had a thorough understanding of the state of the school districts. Most importantly, we solicited feedback from the community for potential and existing issues and geared our efforts to select candidates that exhibited the diversity needed to improve the board composition. Our group had the freedom to de-select incumbent candidates and choose from over 12 new candidates had we deemed it necessary. We began the process on May 24, 2016 and finished with a final vote on October 4, 2016 – over 5 months of work. We found no issues with the currently serving candidates, school-related issues, or other concerns that would cause our committee to recommend drastic change – had there been issues of concern, I would have been the first to recommend making changes—just as I recognized and implemented major changes in both my career and family life. I know what credibility is and have spent the time to earn it by engaging with people around me and working to lead. I would reach out to others who attempt to discredit through slander and ask them instead to serve through civic volunteerism or in a productive capacity rather than a destructive one. I ask that you support our Caucus-nominated candidates. For D115 – Tom Nemickas, Sally Davis, Ted Moorman, and David Lane. 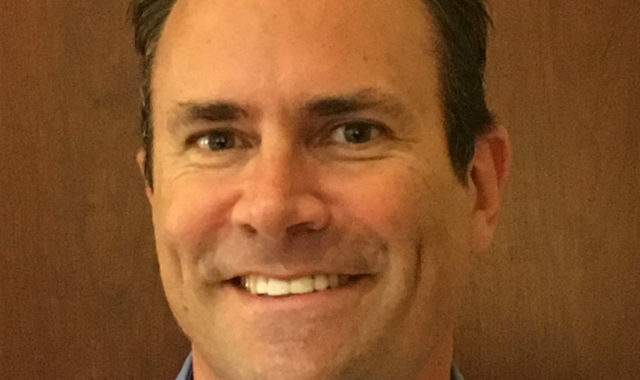 For D67 – Mike Borkowski, Dr. Rob Lemke, Alice LeVert, and Jeff Folker. As a fellow citizen, I am continuously impressed by the exceptional people that make Lake Forest a great place to live. As the President of the Caucus, and previously as Vice President, Ward Chair and Committee member over five years, I’ve had the pleasure of meeting and interviewing hundreds of extremely capable citizens for dozens of city positions. This is all done to seek candidates for the more than 175 volunteer roles ranging from Board and Commission members to our Alderman and Mayor. A significant portion part our city is run by volunteers working directly with excellent Lake Forest staff and employees. Yes, volunteers. Volunteers like YOU. Volunteers that represent all our residents. Volunteers that sit on our Boards. This process of volunteering is done in a non-partisian way that has made Lake Forest a huge success. It’s all about “Volunteers Seeking Volunteers”. Every registered voter of Lake Forest is a member of the Caucus. Each Lake Forest citizen votes to select a representative group of 43 citizens who make up the Caucus Committee. 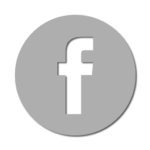 Since the 1930’s, the Lake Forest Caucus Committee has recruited, interviewed, vetted and recommended candidates for election to the City Council and Board of Education (District 67 and 115) and for appointment by the Mayor to over 21 Boards and Commissions that serve Lake Forest. We are a non-partisan group which has term limits. We are “Volunteers Seeking Volunteers”, and our work goes on year-round. This year, as with all years, we invited all Lake Forest citizens to the Caucus Annual Meeting which took place in December at the Gorton Community Center. You exercised your right to vote as a member of the Lake Forest Caucus when you confirmed our recommendation for Mayor – Robert Lansing as well as our slate of new candidates for Alderman – Jed Morris, Ward 1; Melanie Rummel, Ward 2; and Ray Buschmann for Ward 4. I encourage you to review the candidate biographies and cast your vote on April 4th. Early voting begins March 20th. PLEASE VOTE! Enclosed you will also find your Ballot to cast your vote for Caucus Committee representation for your Ward. Please VOTE by filling out your Ballot and dropping it in the mail. These candidates are your neighbors and represent YOUR voice through our Caucus process. As this year’s Caucus session enters its final few months, we look to a year that will find us with a new Mayor, 3 new Aldermen, and 2 new School Board members. The Caucus process is alive and well in our great city. And the Spirit of Volunteerism reflects that greatness. I am proud to be a part of it all. I invite all citizens to get involved in the way your skills and qualities could lend to benefit all. Good Evening and welcome to the Annual Meeting of the Lake Forest Caucus! My name is Chris Collins and I am humbled to serve the great City of Lake Forest as your President. I would like to introduce the members of our 2016-2017 Caucus Executive Committee. We are one of the unique cities in the United States that uses a Caucus system. Each year our non-partisan Caucus seeks people in this town who are willing to volunteer. And in a Presidential Election year, one can truly appreciate the non-partisan nature of our group. Our Caucus Committee is a 43 member-strong group whose mission is to seek qualified volunteers and interview them for the over 20 boards and commissions in the city. The number of volunteers, if you can believe it is 150 and these very qualified volunteers interface directly with the 314 or so Full-Time Employees of Lake Forest. The result? Well, look around. I am sure you have already noticed the special place that is our village with the countless benefits of a town run with the care of its residents. Have you ever driven around town and noticed some specific detail that was fabulous? That detail was thoughtfully executed by committed volunteers working tirelessly with our great city employees. It doesn’t happen by accident. It is our job, as volunteers on the Caucus, to seek out those qualified individuals with the talents that suit each board’s unique requirements and to do this with integrity while seeking diversity, whether that is geographically from one of our 4 Wards or by gender, race, experience or skills. We are Volunteers seeking Volunteers. Tonight, you will hear presentations as required by Article 5 of our Bylaws from myself and my Treasurer Richard Chun on the State of the Caucus. Richard will also give an update on our soon to conclude School Board Search as our Committee Chair. My hat goes off to Richard as he has been tireless in seeking candidates. His level of organization dwarfs that of most. You will also get a peek at our new communication tools – first – our new Website! We have listened to you by increasing the openness and communication of our doings. Ken Levin will briefly detail his fine work. We will be launching in the coming week. We have also worked to increase our communication to the city by adding a new Board Member position – External Communications Chair. That new position is held by our first External Communications Chair, Edie Ahern. We welcome her talents in getting the word out to our residents through print media, Facebook, and mailings. Thank you, Edie. This year we have an intense schedule. We have spent months preparing and vetting candidates already. Besides having to find over 20 new board members, which would be a normal year for the Caucus, we have the task of finding 3 new Aldermen whom are to replace 3 terming off from Wards 1, 2, and 4. We are also concluding our initial work on finding District 67 and District 115 School Board candidates to replace those terming off. The level of quality in the candidates we are vetting is as good as I have seen on my 5 years on the Caucus. Lastly, this is our Mayor Don Schoenheider’s last year to serve. We are in the entrenched in the process to find a new Mayor. To accomplish this task, Pete Clemens and I have developed a 9-step process in seeking and bringing credible candidates forward. We are busy having initial interviews with candidates and should have final candidates for our Caucus Committee to interview and vet. We expect to have the final candidates brought to the full Caucus in mid-November. Because of the extraordinary time necessary to review and process candidates for all positions, we are preparing to introduce our proposed slate of candidates at our December 7th meeting. I hope you can join us on that date. We will get the details out as the date nears. Welcome to YOUR Lake Forest Caucus! Please take the time to explore our newly revamped website. We heard you – and we responded by bringing you a better website with simpler and better access to more information. What is the Caucus? We ARE Lake Forest – as our Caucus system is OUR form of government – run by volunteer residents who wish to serve the city to make it better! The Lake Forest Caucus Committee is a testament to those volunteers. We are a group of 43 residents who have asked to serve and have been voted on by their fellow residents to represent them. The Caucus Committee’s responsibility is to find other volunteers to serve on the multitude of boards and commissions for the city. Volunteers seeking volunteers. What skills and relationships can you bring to our great city to make it even better?! Fill out a Volunteer Profile Sheet and let us know! And thank you for serving. We have an exciting year ahead! Please come back to this site as our content will be updated as we seek to fill open positions. We have included a handy home page cheat sheet here. 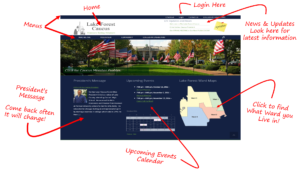 We hope you enjoy our new website and please, volunteer to help keep Lake Forest great!